Highly bio-available vitamin b12 (methylcobalamin) and vitamin b1 (benfotiamine) which increases nutritional support of the nervous system. 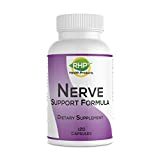 Helping people who have neuropathy, nerve damage and nerve pain build healthy nerves for over a decade. Do you have nerve pain that you can’t explain? Feeling pain in the head that is not a regular headache pain, pain in the feet and toes, or pain in the hands or shoulder can be caused by many different reasons. Could these pains, although intermittent, be nerve pain? Nerve pain should not be ignored. There may be a way to diagnose and treat nerve conditions after all. The Peripheral Nervous System acts as a highway that connects the nerves that run from the brain and the spinal cord through the rest of the body. This system is vital in moving freely, accomplishing tasks, and so much more. It triggers feelings in your arms, head, feet, hands, and toes. The job of the Peripheral Nervous System is to deliver signals from these vital parts back to the brain. Peripheral Neuropathy occurs when something happens to the nervous system and can no longer transfer the signals correctly. So the nervous system may send a false signal of pain to the brain when there actually is no pain. It could also not send the signal of pain when actually pain should be felt. Can Peripheral Neuropathy Be Reversed? Diagnosing Peripheral Neuropathy and other nerve conditions is not easy to do. There may not be any clear signs of damage and it may not show up on tests. You may be experiencing nerve pain in the head, nerve pain in the hands, feet or toes. You may even experience shoulder nerve pain as well. When you see your doctor, the first thing they will want to do is a physical test to determine if there is some underlying condition that they may need to address. Maybe you have been in an accident since the last time you had a physical exam or maybe you were performing a different job at work and you have been experiencing some intermittent pain that has now become more frequent. Little details can help you and the doctor determine what your next step will be. Depending on where the pain is located, it will be a little different. Sensory nerves are nerves that connect to your skin. Motor nerves are connected to your muscles throughout your body, and autonomic nerves are connected to your internal organs. Peripheral Neuropathy can affect the nerves in all three groups or it can be felt in only one. The pain can feel like pins and needles on your hands and feet or it can feel like you are wearing a very small glove on your hand. It can cause throbbing pains, a weak heavy feeling in the upper and lower extremities, or it can feel numb. If the nerve pain is in your hands, you may begin to drop things, thinking you had a hold when you really don’t. If you are diagnosed with Neuropathy, one of the first things that you will want to know is if it is permanent. This will be a difficult question for your doctor to address until he or she knows more about your case. If your doctor is able to identify the cause of Neuropathy, then a treatment plan can be developed and followed to help reverse the symptoms, and in some cases – cure Peripheral Neuropathy. Even after nerve disease has damaged the nerves, if treatment is successful, nerves can start to regrow immediately, however it can take several months or even years before you can notice a difference. A factor that may hinder the reversal of Peripheral Neuropathy is if you are born with a certain genetic that ultimately results in this condition. In this case, it cannot be reversed. Once diagnosed, your doctor will come up with a treatment that can range from just watching the condition to make sure that it does not progress, to prescribing medications. Your doctor will run some tests to determine how progressive your neuropathy currently is and then periodically to maintain your health. There are certain types of medication that your doctor may prescribe for you to take if he or she feels that it will help to control your pain more effectively. Such medications can include over-the-counter pain relievers that are non-steroid and anti-inflammatory. If the pain is not tolerable and over-the-counter medications are not strong enough, your doctor may want to prescribe pain medication only available by prescription. Another medication used in treating Peripheral Neuropathy is anti-seizure medications such as Neurontin or Lyrica. They have shown to relieve nerve pain as well. Capsaicin is a cream that is normally prescribed for relief of symptoms associated with Peripheral Neuropathy. Anti-depressants can also be prescribed for the treatment of Peripheral Neuropathy. Anti-depressants such as doxepin or amitriptyline can reduce pain by blocking the chemical processes that occur in the brain and the spinal cord so you don’t feel the pain associated with this condition. Benfotiamine can also be used to treat neuropathy. One of the reasons for the development of Peripheral Neuropathy is due to a lack of Thiamine. Benfotiamine is recommended for patients suffering from peripheral neuropathy. It comes in a fat – soluble supplement so your body can digest it and break it down to uncover the potential in every capsule. Using supplements containing Benfotiamine along with other vitamins such as the B vitamins can increase the chances of minimizing the pain felt with neuropathy. It’s important that you keep your body in motion as much as possible but without overstressing it. The more you work and move, the better you will feel. Physical therapy can play a key role in keeping limber and able to move around. As before, it’s important to find the underlying cause of the development of neuropathy before treatment can begin. If neuropathy is brought on due to another illness such as diabetes or chronic kidney disease, that condition will need to be addressed most likely first and then the treatment of neuropathy can begin. Physical therapy can range in degree of intensity, based on what the specialists feel is right for you. Aerobic exercises can be part of your plan. With aerobic exercises, you will be given instructions on how to perform certain exercises to improve your range of motion and your stability. These exercises will include stretching and flexing to improve movement. If you struggle with balancing and coordination, there are certain exercises that will address that. When you can’t balance correctly, you may fall often and this can cause injuries on top of your condition. Gait training can be part of your aerobic exercises to strengthen the leg muscles and improve your ability to walk. Tai Chi is a natural form of exercise that helps you mentally control your moves and become more aware of your strength and ability to get through your day. Strengthening your core, hips, knees, and the ankles will probably be first on the list. Leg curls, step ups, and step back lunges are part of the physical exercises you may be given. Simple exercises that have been done for many years is also prescribed as part of the treatment of Peripheral Neuropathy. You may be walking along and suddenly, the pain is so bad that it stops you in your tracks. The pain is intense and it wants all of your attention. Sciatic nerve pain is located mostly in the buttock area, the upper thigh and can travel all the way down to the calf or toes. The sciatic nerve pain comes from an inflamed sciatic nerve that could also be pinched or compressed. A pinched sciatic nerve could be the result of an injury, such as a slipped disc which has shifted to press down on the nerve. Sciatic nerve pain can last for a few moments to a few weeks. There are many factors that contribute to how long the pain lasts; what caused the nerve to be compressed, if the nerve can feel relieved, how active you are, and how often this occurs. Sciatic nerve pain can step from three different locations; the L4, L5, or S1. Each location has different locations of pain that can be felt. Where you feel the pain will help the doctors determine where the nerve damage is located. Located in the lower part of the spine, the L3 – L4 nerves can cause pain or even numbness to the lower part of the leg and the foot. You may experience weakness that will prevent you from bringing your foot up to put your heel down while taking a step. You may notice a reduction in the knee jerk reflex as well. Located in the L4-L5, you may experience foot drop, or the dragging of the front part of the foot while in the walking motion. This will cause the front part of the foot to be dragged along while walking instead of picking it up and walking. If the L5 nerve is compressed or restricted, you may feel pain and a numbing feeling at the top part of the foot. This pain or numb feeling can be felt between the big toe and the second toe. The L5-S1 nerve is located in the lowest part of the spine. If you experience pain in this area, you may experience pain and numbness on the outside of the foot. It may be very difficult for you to lift your heel up when you walk on your tiptoes. You may not feel strong enough to do that. You may also notice that the ankle jerk reflex is decreased. When it comes to sciatic nerve pain, you don’t have any time to lose. When it hits, you are completely immobile where you are; at the park, at work, shopping, or working at home. The pain is so severe, you cannot move and when you do, the pain is intense. It could last a minute or two or it could be set in for a long time. When sciatic nerve pain hits, you want relief fast. When you find yourself standing and suddenly feel the sciatic nerve pain, you need something immediately to relieve it. There are many ways to relieve sciatic nerve pain but these can be done in your home without assistance. If you are experiencing sciatic nerve pain, chances are, you have some inflammation pressing down on one of the nerves in the lower part of your spine. If you are able, take a motrin or other over-the-counter anti-inflammatory medicine to help reduce the tension being placed on the nerve. Once you take the medication, you may not feel relief for another thirty minutes to one hour. Lie down on a bed or floor. Get a tennis ball, or a round object that is close to the size of a tennis ball. If you don’t have a tennis ball, then use your fists. Make a fist with both of your hands and slide your fists under the curve of your lower back. Keep your knuckles up toward your spine. Lie still for one to two minutes with support on your lower spine. Next, you want to roll on to the side that is experiencing the pain. Place the tennis ball or your fists underneath the buttocks on the painful side. The reason why you are going to put pressure there is because this is one of the points in relief of sciatic nerve pain when doing acupressure. If you feel pain, that is normal, just know that this point is necessary in order to relieve the pain. Hold your fist or the tennis ball in place for five minutes. During that time, you need to take slow deep breathes and with each breath, relax more. You will begin to feel the pain and soreness decrease with every breath. It’s important to move your fist or tennis ball around in the direct area to eliminate any pressure that may be at other points around that area. Using your fingers, apply pressure on the outer part of your lower leg, between the front of the fibula and the small bone above the ankle. Apply pressure for a few moments. Then place pressure to another point, such as in front of the outside ankle bone. Press and hold for a few more minutes. Now, move on down to the top of the foot, to the Metatarsal bones, or the five bones located in the foot. Apply pressure between the fourth and fifth bone for approximately one or two minutes. Many people fear the needles and this fear stops them from trying acupuncture. However, if you have ever felt sciatic nerve pain, you may prefer the acupuncture over that any time. For your first visit to an acupuncture specialists, keep your mind open. Don’t concentrate on the procedure but more on the outcome. More people come from an acupuncture session feeling better about their decision to go. Acupuncture can eliminate the pain felt at one particular pressure point, such as the lower spine, where sciatic nerve pain strikes. When sciatic nerve pain hits, you want to seek the assistance of a chiropractor who will be able to adjust the spine back into alignment, taking the pressure off of the nerves that are being compressed. Going to a chiropractor for regular visits can prevent the sciatic nerve from being compressed. A chiropractor can also give you some tips, hints, and exercises and advice on how to ease sciatic pain should it occur at home. Pilates has so many benefits to the human body when performed right. Pilates can also help to prevent sciatic nerve pain from occurring. With certain poses, you can stretch the spine and break it free from being compressed and feeling pressure on one point or several. Pilates can increase blood flow and give you an overall feeling of being healthy. Practice pilates on a regular basis and help prevent sciatic nerve pain from occurring. Avoid stressing the muscles in the body by using them every day for everything and not giving them a chances to unwind and release. Daily forms of exercise, including pilates, can help to relax the muscles. Even though sciatic nerve pain is common, it’s important to take precautions to prevent it from occurring whenever possible. You never know when the sciatic nerve pain will strike so to take steps to help prevent it from happening is your best defense. Exercise daily and take care of your body. If you have a condition such as diabetes, listen to your doctor and take care of yourself. Sciatic nerve pain can be managed with a little time, a healthy plan that includes exercise, a balanced diet, and supplements that work to make your days less painful and more enjoyable.